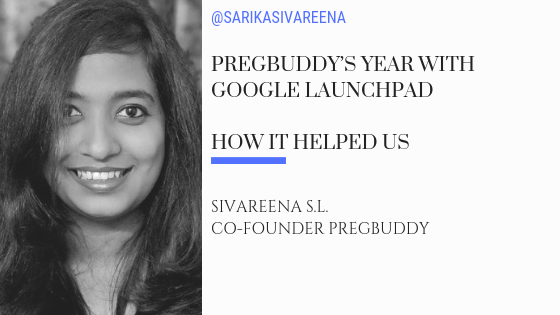 We’re all aware about the Google Launchpad accelerator which selects pre-series A startups across the globe every year to assist them scale their business. Along with this, Google Launchpad has few more offerings where they have extremely well structured programs for various stages of startups. Pregbuddy has benefited from couple of these programs as we grew our product. Mea Culpa, I am one of those who is guilty of getting on and staying on the Big Data wagon for the wrong reasons. “Data is the new oil” is an oft-repeated phrase. I am about to commit a “virtual” suicide by proclaiming that it is not so. Data has its place and it is not at the top of the digital food chain. I feel that we have crowned the half-naked prince, Emperor in haste. For the sake of clarity, when I say data, I will be referring to digital data throughout this piece. Data is a by-product of any activity. Therefore, creating data is as natural as breathing. So we have data. A lot of data. So what? Accumulating data, structuring it, storing it, analyzing it are a natural progression from that point onwards. How and what we do with the data is more important. Software. The magic that is software, to me, is more transfixing. Consider the prospect of a language written in a semantic that is alien to our natural human language. A cryptic command, logic, condition, trigger – anything at all – that is magically read, understood and acted upon by silicon. Hardware that contains baked-in code that can parse and carry out complex instructions at blazing speeds. Pieces of such chips soldered on a board and communicating through ‘roadways’ of circuits laid out on a board. The miracle of hardware coupled with the magic that is software is what gets my adrenalin pumping. How can such a marvel not be exciting? Even the awesomeness of hardware pales in comparison to software. Hardware is more or less static. It is confined to physical and functional dimensions. Software, however, is supreme. It can use the same hardware (with some limitations of course) and carry out simple tasks, entertain with games, or perform wildly complex calculations at very very high rates of speed, accurately all the time. And it can do this million million times with alacrity. This is just the beginning of what software can do. But wait, there’s more! Consider intelligence in software. It suddenly becomes a living, breathing, dynamic being. Almost. Software can learn and teach itself. Crunching data and spitting out patterns and actionable analysis suddenly becomes mundane, banal almost pedestrian. No. I am not against data or big data. By itself, big data is just that. A monstrosity. Sometimes, big data actually gets in the way. Misleads us in making decisions quickly. Software breathes life into data. Take any software language or tool. Examine it. Study its flow, the eloquence, the nuance and its brilliance. Brevity in software coding is revered by programming perfectionists. There is elegance in a well-written piece of code that executes beautifully, perfectly, every time. Anyone that can find literary melody in Shakespeare or Milton can certainly begin to enjoy the harmony in a beautifully crafted software application code. So, my appeal goes out to all those who are worshipping big data to take a moment to reflect upon the joy that software brings to our daily lives. After all, the future is software! 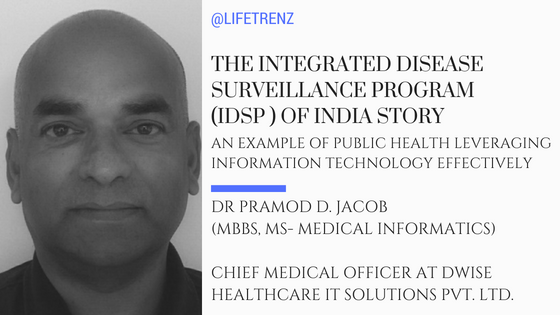 Inderjith Davalur is a healthcare technology specialist, speaker, writer and utopian dreamer. Inder works with hospitals committed to transforming the healthcare paradigm with the aid of new innovative technologies. 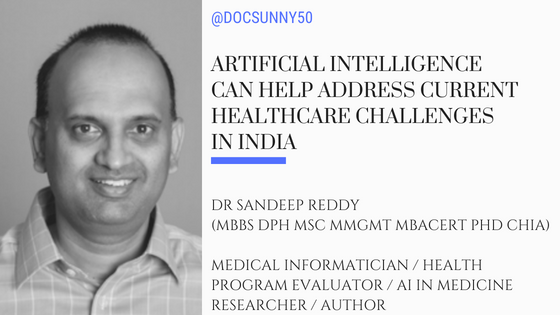 His primary area of interest lies in using data analytics and technologies such as Deep Learning to shift the current physician-driven healthcare model to a patient-driven market dynamic. 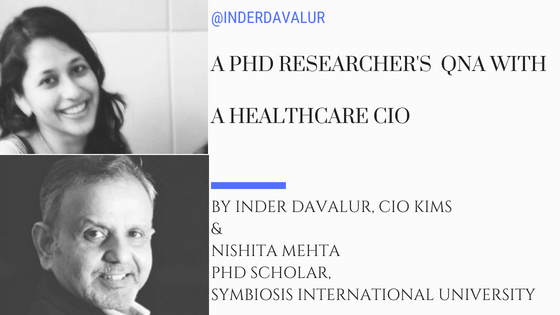 Inder focuses on the manifold ways in which data crunching and machine learning can lead to better diagnoses that can not only be made at the time of illness, but predicted way before any symptoms surface. 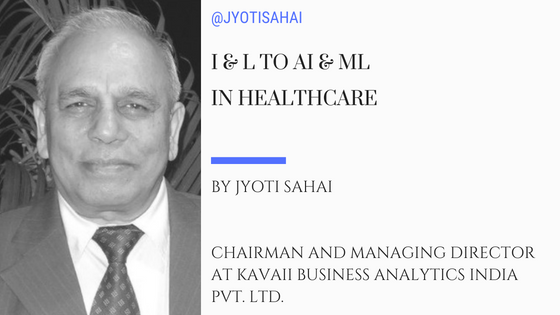 The path ahead in the sector, he believes, lies in the deployment of evolving technologies that immensely influence both diagnostic and therapeutic aspects of healthcare, delivering real patient-driven, data-enabled, informed healthcare. 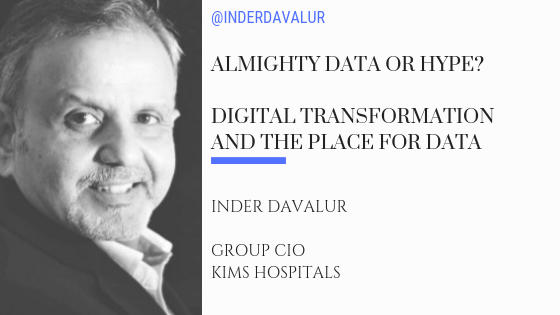 Inder currently works as the Group CIO at KIMS Hospitals Private Limited, Hyderabad and has previously assumed leadership roles at leading hospitals and companies, in India and the United States of America. 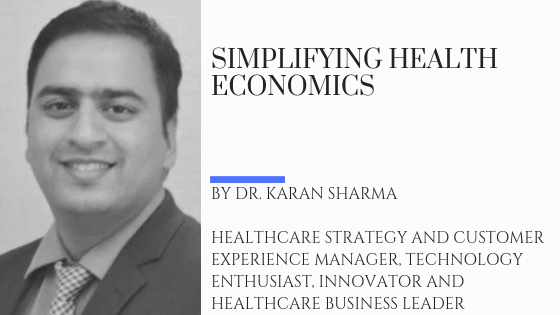 Health economics is a branch of economics concerned with issues related to efficiency, effectiveness, value and behavior in the production and consumption of health and healthcare. 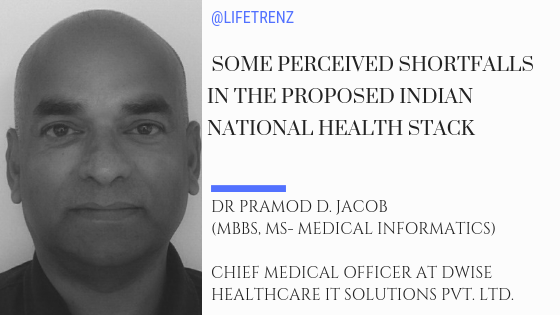 There is ongoing work in India for a Nationwide Information Technology platform, that will support and facilitate the deployment of the Ayushman Bharat program, which is called the “National Health Stack”, the objective of which is to help achieve Continuum of Care across Primary, Secondary and Tertiary care for each of its citizens and facilitate payment for the care. Angus Deaton, a well renowned economist, explains that while there is a correlation between higher income and better life expectancy, this is not the only factor. There are means to ensure great health at less cost and equally spending large sum with no purpose, America being one case in point. While earlier any spending on healthcare was dubbed as social overhead, it is no longer so – there is enough evidence to prove that spending on healthcare speeds growth of the nation. Much of the conversation around healthcare technology is centered on where new developments are taking us. But as the age old adage goes, you can’t know where you’re going until you know where you’ve been. Q1. 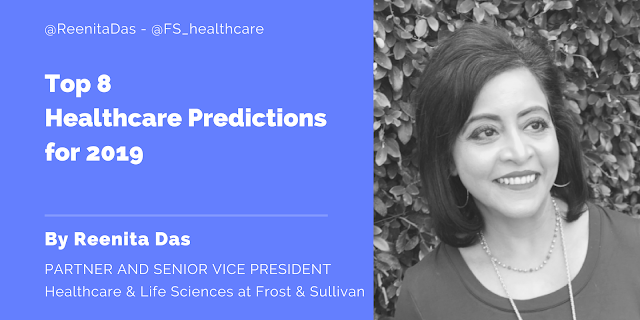 Nishita Mehta: What is data’s role in healthcare & how do you see it influencing future health sector growth in India? Big Data Analytics (BDA) will have a huge role in healthcare. Healthcare has been a latecomer to using IT as a tool but the future looks good. AI and its children – ML, IoT, and M2M are excellent candidates for advancing technology in healthcare. 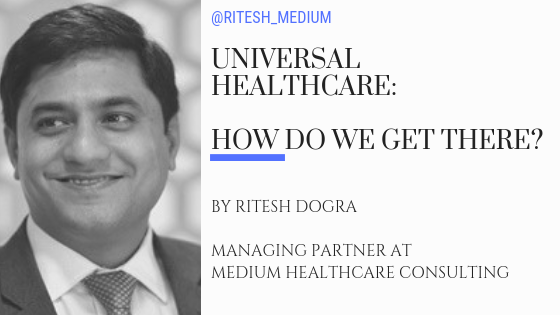 There is a real potential for technology to advance what I have termed “Connected Continuum of Care” in one of my blogs. 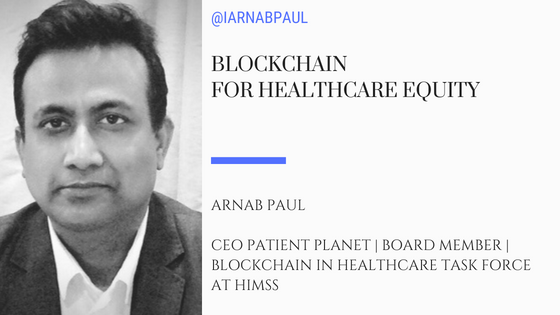 This means that with wearables and other Internet of Healthcare Things (IoHT), creating a biome where the patient and doctor/hospital are always connected would become a reality. Always-on Internet is the future and extending that to healthcare is a natural progression. 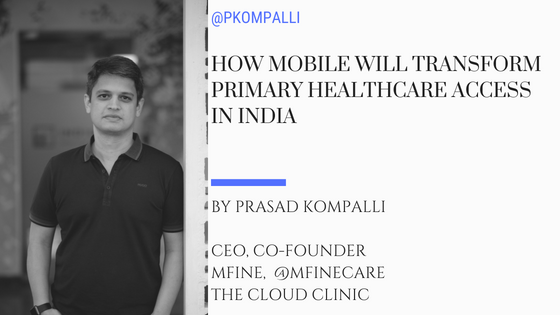 With the price of Internet in India being one of the lowest in the world, we will be in an excellent position to incorporate technology in advancing healthcare delivery. A few days ago, we came across a very interesting albeit a rare case where a mother wanted to consult a paediatrician. 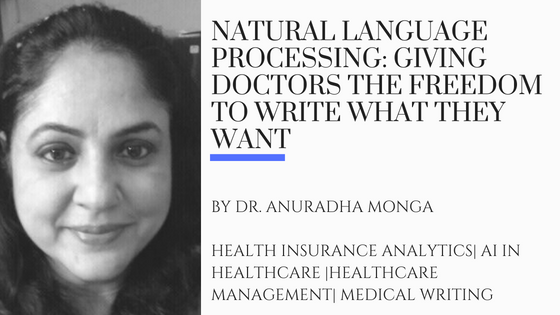 Under a few minutes, she was able to have an online consultation with one of the top paediatricians in Bangalore, who immediately prescribed the required treatment for her child as the symptoms were severe. At this point the patient informed the doctor that she was on a moving train and travelling towards Bangalore but needed the assistance urgently and was glad to have spoken to him. The doctor meanwhile was totally taken aback. Quickly recovering, he felt a deep appreciation for technology and its ability to empower people and help them access essential services at the hour of need. Have you ever wondered why if confronted with any illness symptoms that appear even a bit abnormal, we prefer to consult with a doctor in a large hospital only, even though a more competent doctor may have a clinic next door itself. Healthcare produces the highest quantity of data records as compared to any other industry. There has been a substantive shift in the provider workflows from capturing data in paper based records to electronic modes and storage in the past few decades. 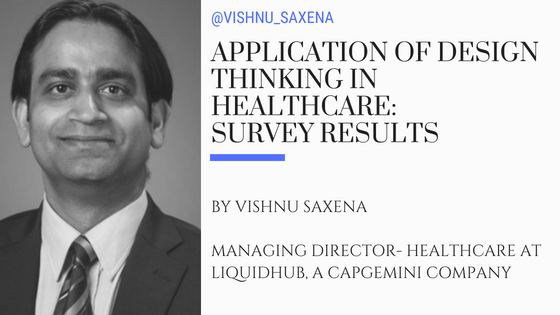 Design thinking is gaining it’s rightful prominence in the Healthcare as a valuable approach to solve range of healthcare issues and redesign care delivery. However, application of Design thinking principles are still not mainstream. NEJM surveyed 625 of their council experts from executives, clinical leaders to clinicians and come-up with their finding on the state of Design thinking in the healthcare. Stare in the middle of the image below..as you move your eyes around you will see black dots flashing. now you know that there is no flashing possible here but it tricks your brain. The much-awaited Personal Data Protection Bill, 2018 (“Draft Bill”) was released by the Committee of Experts entrusted with creating a Data Protection Framework for India (“Committee”) on Friday evening. In a digital Age when cars drive themselves and CEOs hold meetings across continents in virtual reality conference rooms, engagement of the disenfranchised is a less attractive endeavor than the sleek apps, making it an outlier in the realm of tech solutions. Now that we have defined the various actors and the activities that they could be performing. It becomes to important to define the guidance as to how these activities will be delivered to their respective audiences. Sharing some of the UI screens that I had envisaged for the Zen Clinicals system. 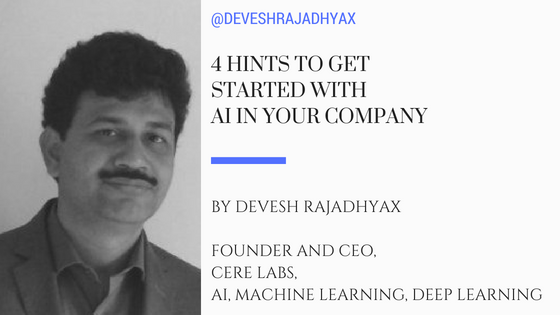 The core premise of the system is to be data driven and workflow driven and NOT BE a transactional system wherein a sequential set of activities or tasks are carried out. Zen Clinicals ensures there are actionable insights that are presented to the right care providers at the right time. 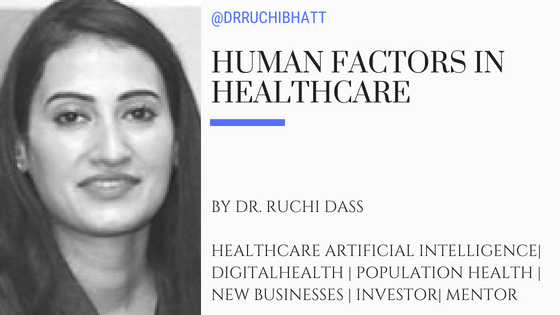 Earlier this year, while making a keynote speech at an Artificial Intelligence (AI) in Health conference in Dubai, I mentioned that AI techniques can be used to address some of the intractable health issues in developing countries. Considering the Nipah virus containment story recently, I thought it would be appropriate to write about the IDSP program in India, as it had a major role in this containment. The Integrated Disease Surveillance Project (IDSP) was launched in November 2004 with the assistance of the World Bank, to identify and respond to disease outbreaks and epidemics at an early stage, preferably before an event becomes an epidemic. Fresh out of HIMSS India’s inaugural Digital Healthcare Summit, (2015) in Gurgaon, I lamented over the state of healthcare IT in the country. At the time, we were showcasing our hospital information system and launching our telehealth and patient referral management solutions. I should have been proud to be a part of the innovation on display at the event, and understandably so. But what struck me harder than pride at the event and left me with a lingering sense of disappointment was something else. 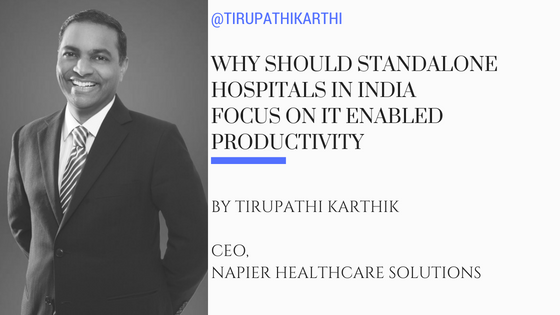 And that was just how far some parts of India lagged behind the rest of the developed world in terms of healthcare delivery and quality.